Easy to navigate and update tickets. Zendesk Review – Features, Pricing, Integrations, Pros, Cons & More! 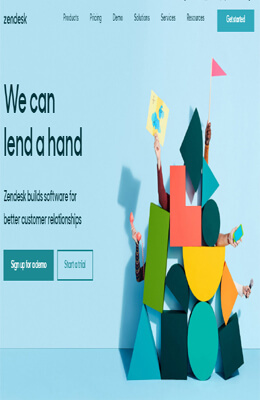 Zendesk provides a customizable front-end portal, live chat features and you can integrate it with other applications like Salesforce, Google Analytics and more. You can merge or drag together all of other support channels, including live chat, phone, email services, social media and more. Simple to integrate and use various third-party apps via Zendesk, integration varies in numerous categories such as analytics and reporting, agent productivity, CRM, e-commerce and social media. Some of the popular productivity apps are Salesforce, Google Apps, Atlassian, FreshBooks, and WordPress.